The interior design did not become my lifework overnight. I used to create coziness and a “royal lifestyle” to my friends and workmates; I used to consult a lot that later resulted in something more than just an interior design. Corr. : - Dear Lydia, You are well-known not only in Moscow, but also in Europe due to unique interior design compositions created by you. Please tell us about you, about the beginning of your creative development in the world of design. L.D. : - The interior design did not become my lifework overnight. I used to create coziness and a “royal lifestyle” to my friends and workmates; I used to consult a lot that later resulted in something more than just an interior design. It was a change in conscience, ways and lifestyle. So, later I made up my mind to run my own business, and on graduating from Design Craftsmanship School in Manchester I started to create interior compositions myself (photo by tommerton2010). Corr. : - Your customers are very likely to get interested in the English interior style, aren’t they? L.D. : - Not at all. 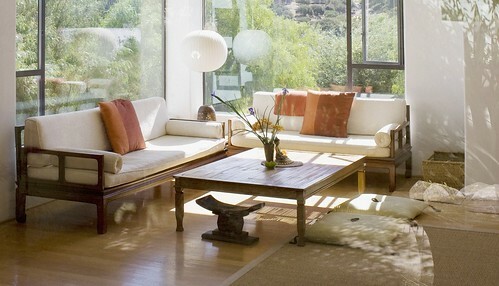 Most clients would like the design of their houses, country estates and apartments to create a unique coziness. It’s also important that the interior not feed up, but include such elements that one will be able to look on differently. I can judge by my experience that the classical style is the most popular with clients as of today. A classical interior with elements of English design is always in style, it creates a unique air of coziness and stimulates a person to do the honors of the house. What is a British home? The more bathrooms and bedrooms it has, the stronger necessity for inviting guests a person feels. Corr. : - What do you offer to your clients except designing? L.D. : - We can decorate the interior taking into account requirements of the most demanding customer. Besides, all materials, furniture and fittings produced by the best designers and companies can be delivered upon customer’s request from Europe. Corr. : - Thank you for the interview!